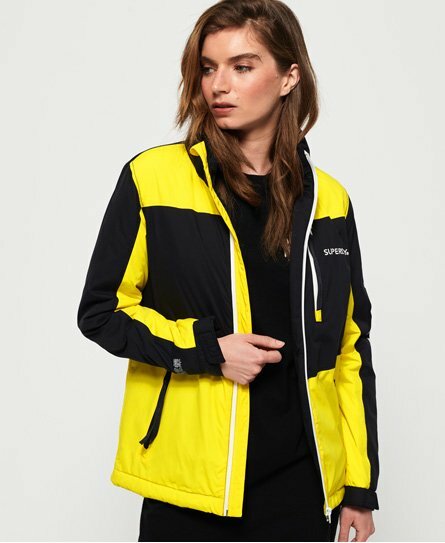 Superdry women's Boat coat. This coat features a main zip fastening, three front zip fastened pockets and hook and loop fastened cuffs. This coat also features a concealed hood inside the collar and is finished with Superdry logo detailing on the chest and sleeves.